A contoured support brace with a pullover design for easy wear. 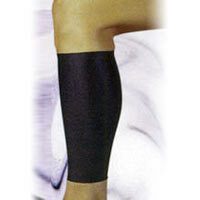 It provides support, compression, and therapeutic warmth to the calf region. It’s an ideal brace for sprains and strains.